We love CARNATIONS! 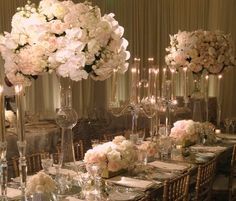 They have made a comeback and are no longer considered a taboo wedding flower. They look great paired with Hydrangea to add depth to an arrangement and come in so many vibrant colors that work well as fillers. 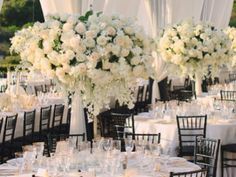 Our personal favorite is using them alone in tight, compact arrangements giving them an elegant, modern look. We’re Getting Creative With Bouquets! Look how gorgeous the rose satin bow looks on the handle of this bouquet. Loving this head table we did at a recent wedding! 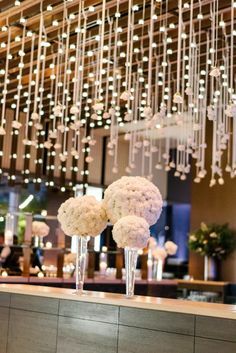 Various heights of pomander balls accented with candles make for an elegant yet understated tablecape! Gorgeous, huge blue hydrangeas were the primary color for a recent wedding. 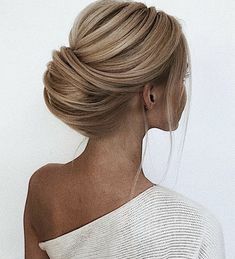 This is the perfect time of year for these hues and they are relatively inexpensive! When you want a single colored bouquet the best thing to do is use a range of that color so that it contrasts well and highlight the individuality of each bloom. I’m loving this gown. One of our recent brides wore it and the bouquet we created for her complements it perfectly. The flowers and crystals on the gown are so elegant. The bouquet is soft, romantic and traditional with a combination of Roses, Calla Lilies and Peonies. We even added in some Swarvoski crystals to match with the gown.